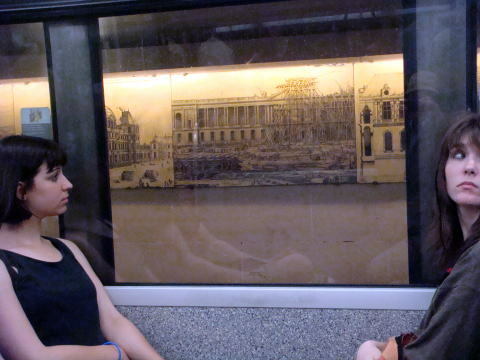 passengers a day, and an annual total of 1,365 (2005). 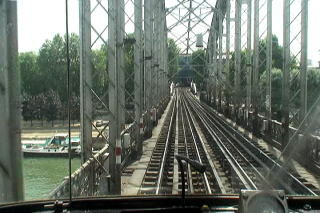 (R) A subway train is crossing the Seine river on the Austerlitz viaduct. 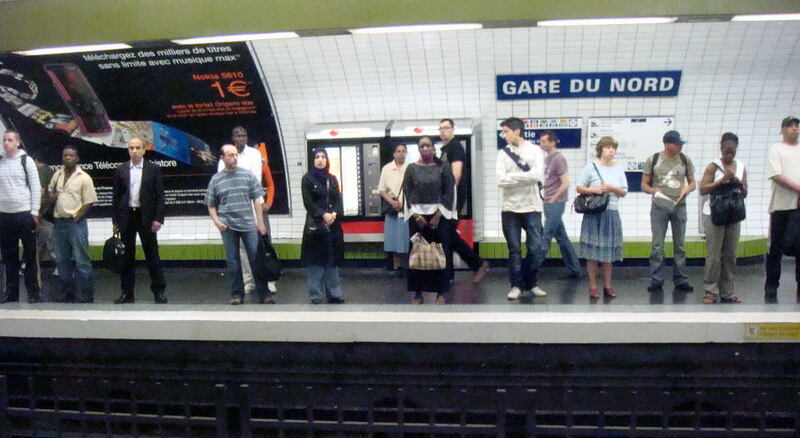 People who live in Paris are composed of multiple races, just like in New York. 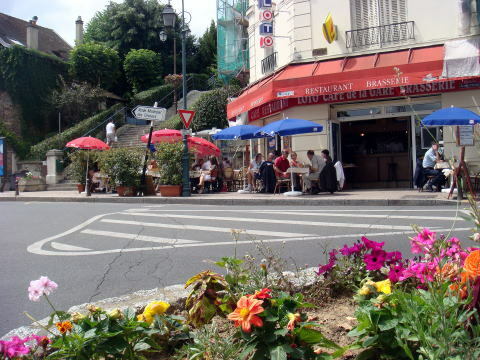 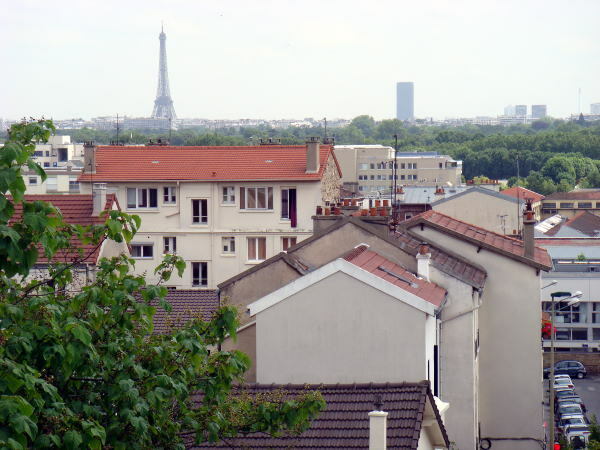 The 37% of immigrants in France live in the Paris region. 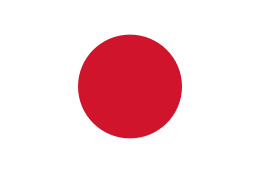 Their majority is from Asia and Africa. 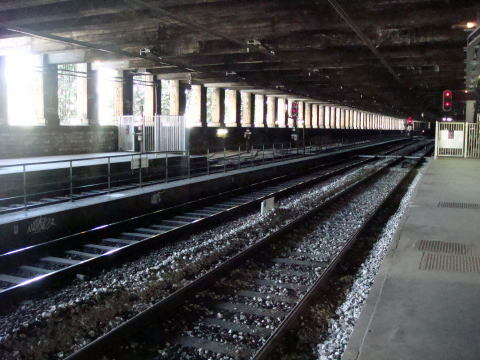 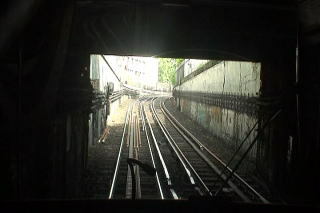 (L) RER, Champ de Mars station, closed to Tour Effel. 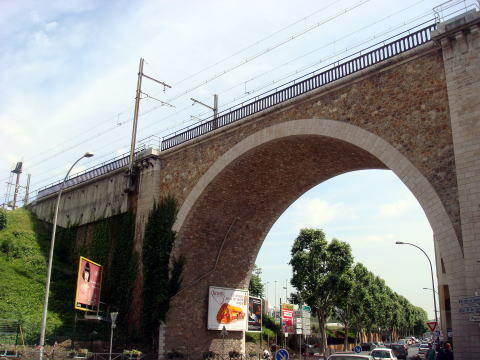 (R) An elevated bridge near the RER C Line, Issy Station. 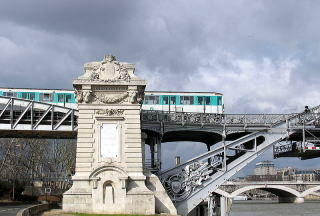 (L) A Metro train crosses a bridge over the Seine river and enters a tunnel. 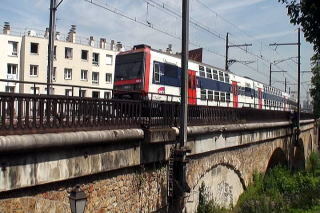 (R) A RER train seen near the Issy Station. 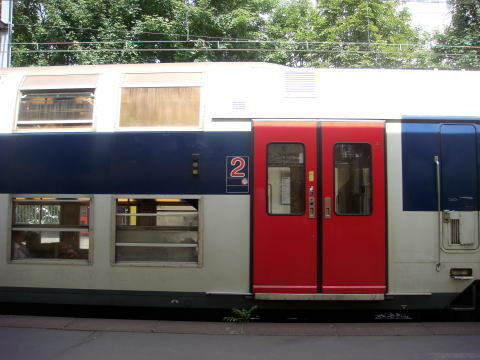 (L) A RER train running C Line. 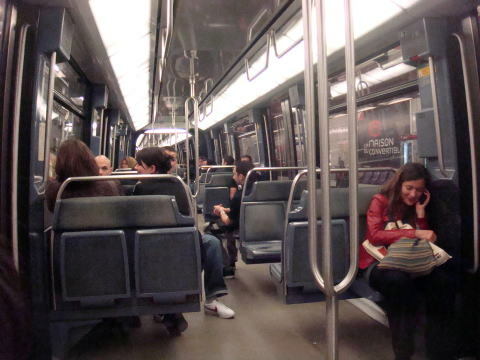 (R) The interior of a Paris's subway train. 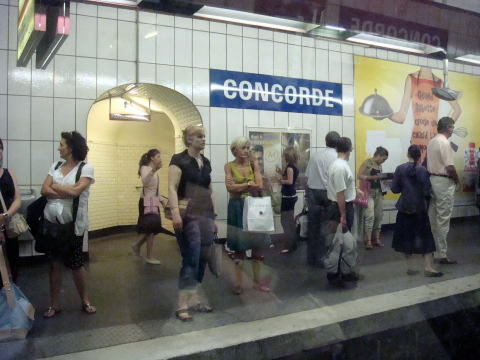 (L) There are occasional specific designed subway station in Paris. 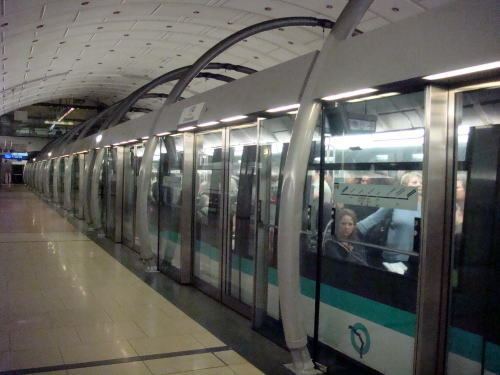 (L) A plateform screen door at full-height observed in the refurbished Paris's subway. 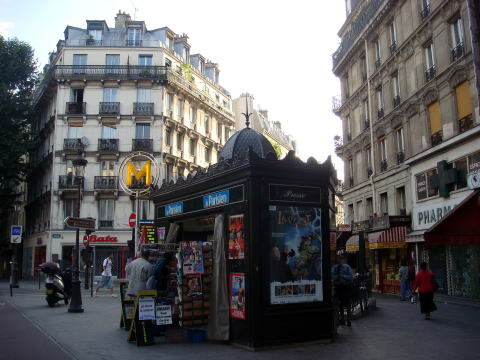 (R) A Metro sign pole in a town, Paris. 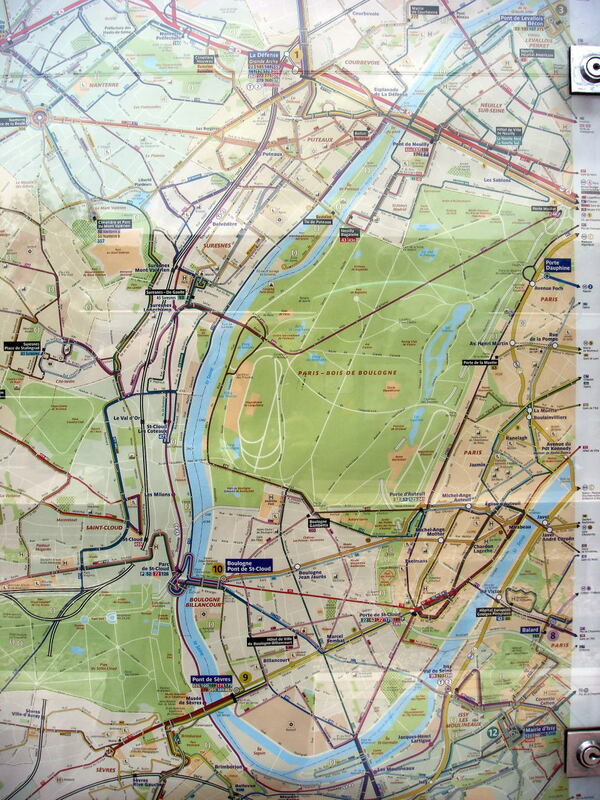 A railway route map around the Bois de Boulogne, Paris. 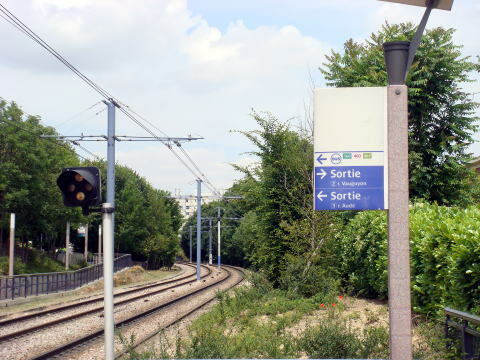 (L) The train departs from the tram-stop of Issy Val de Seine. 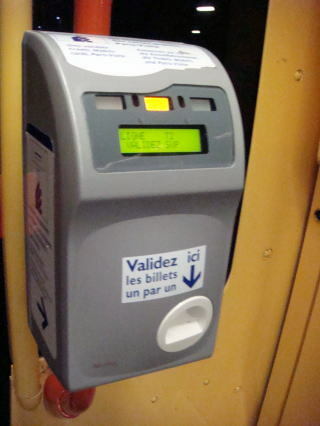 (R) A ticket register near the tram doors. 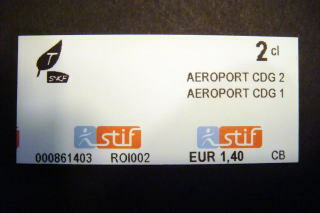 Passengers must validate their ticket with this stamping machine. 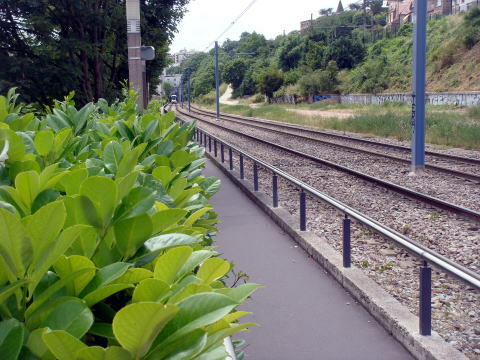 Otherwise, a railway company may impose a heavy fine. 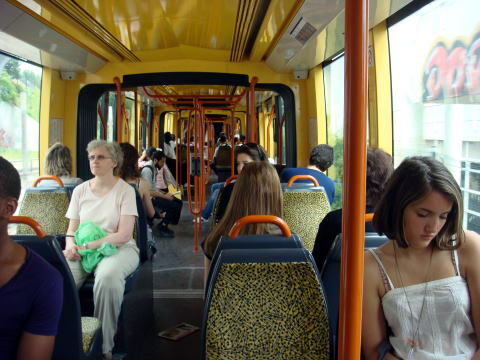 (L) The interior of a tram car. 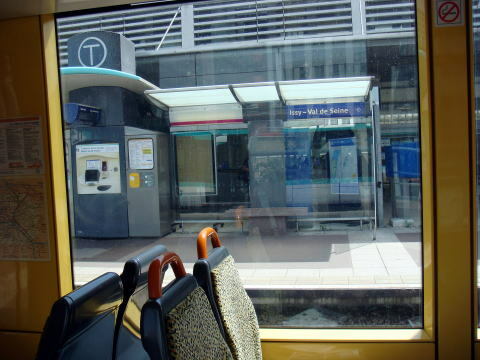 (R) There are switching buttons inside and outside of a tram, to open a tram door. 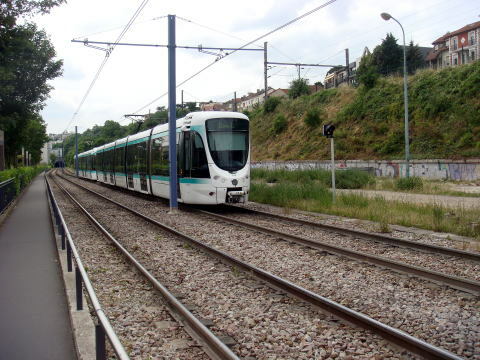 A tram car passing the area of Suresnes. 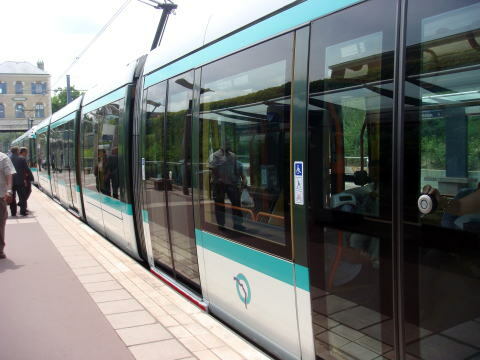 (L) When a tram runs in the area of hillside south to the La Defense, you may see the Effel Tower at some distance. 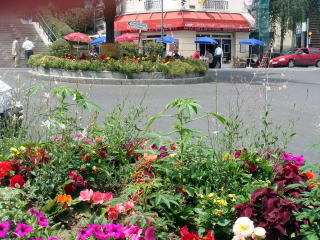 (R) A cafe along the tram lines.